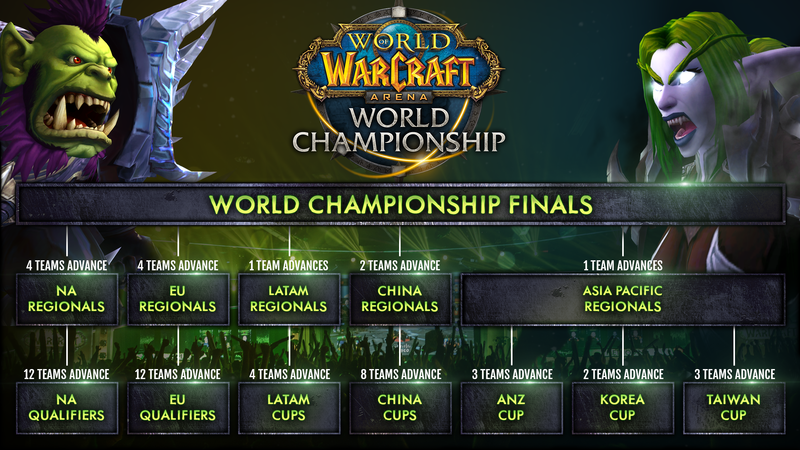 World of Warcraft esports is leveling up! This year we’re bringing you more ways to participate, more teams, and more live action for everyone watching at home. So if you have a competitive bone in your body (and who doesn’t? ), read on for an overview of the exciting changes. There are many ways you, your team, and your community can get involved. But first, a quick—and epic—reminder of what you can expect. . . . Extra qualifier cups in North America and Europe, giving more teams the chance to shine. Open signups: you don’t need an Arena rating to sign on the dotted line. What’s stopping you? The top eight teams will be broadcast live, giving your team the chance to show off epic skills and the audience good reason to cheer on the teams they’re passionate about. Online Arena Cups award points to the top teams, so the teams with the most points qualify to their regional LAN event. Teams can sign up to compete in as many cups in their region as they want. Go, go, go! Approved community-run events can also award points—so what better reason to encourage your community to get involved? The more points you have, the more chance you have of qualifying. Simple as that. Note that points are earned by teams, not individuals, so leaving your team means leaving some of your points behind. Safety in numbers, friends! Regional Championship Events—Claim Your Crown! 12 teams for NA and EU—up from 8 last year. All regional events are LAN-based, with teams competing in person. 12 teams—up from 8 last year. Latin America now has a dedicated spot and China will be represented by a second team—get your game on, wherever you are. Not looking to participate but want to follow the action? 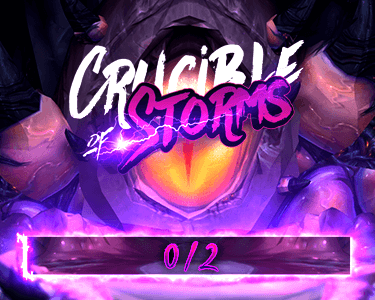 We’ll be updating you soon on when and how you can catch the epic battles, so you can follow your favorite team along the glorious road to the WoW Arena World Championship Finals. Up for the challenge? Keep your eyes peeled for event announcement and rules in the coming weeks.